Fresh from the release of ‘The Hum’ starring Charlie Sheen and Jean-Claude Van Damme, the Smash The House bosses and brothers are now back with US hip-hop artist Ne-Yo for ‘Higher Place’. After some teaser videos on their social media channels, the duo recenty released the official lyric video of ‘Higher Place’ ahead of the full video release this summer. Premiered live at EDC Las Vegas with the Grammy-award winning Ne-Yo himself joining the duo as a live guest on-stage, apparently over 60,000 fans sang along in unison. 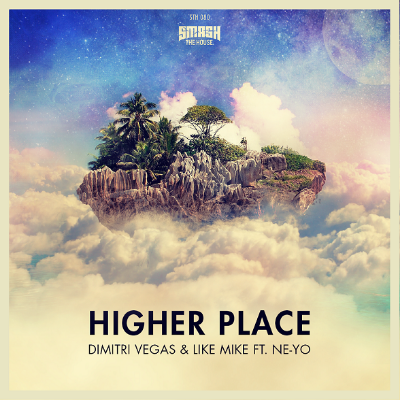 Crossing Ne-Yo’s R&B top-lines with their beats, ‘Higher Place’ has been popular in the duo’s own sets, as well as receiving support from artists including W&W and Bassjackers. Now, the official animated lyric video allows you to sing along in any environment when the track is played. Check it out below. This is a good tip particularly to those fresh to the blogosphere. Short but very accurate info� Appreciate your sharing this one. A must read post!